This full coverage throw easily covers a standard 6' table. 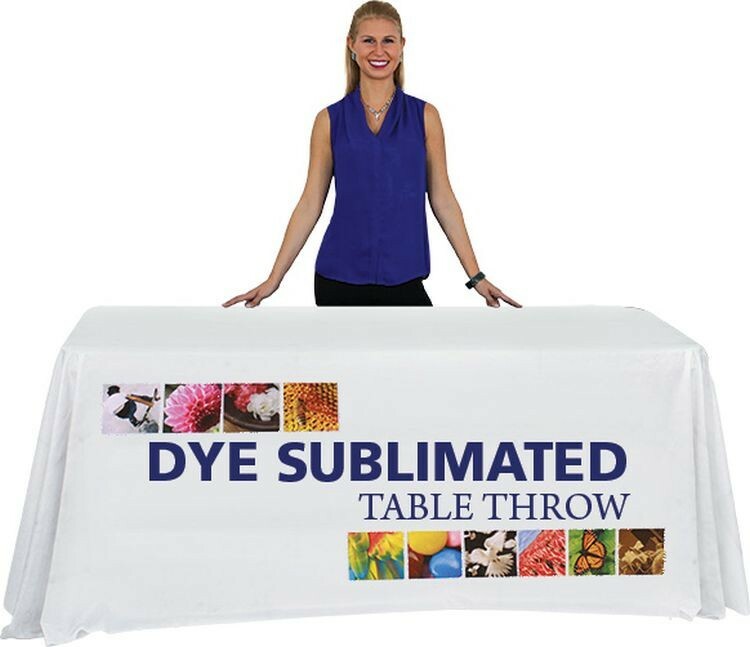 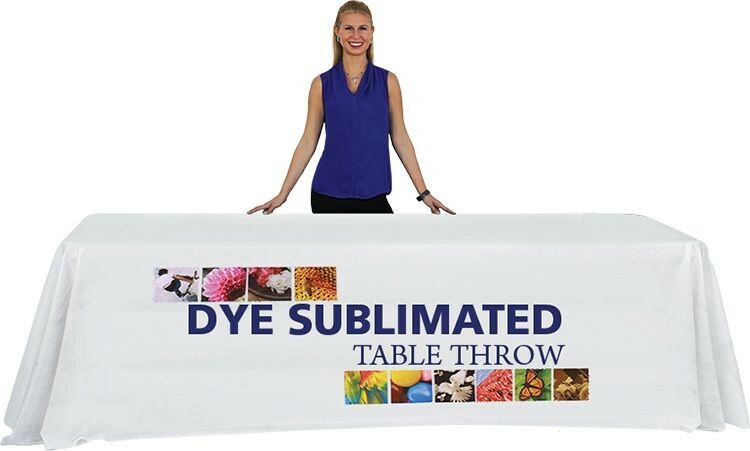 Table throws can be used in many ways, and are perfect to display messaging in any trade show or event, both indoor or outdoor. 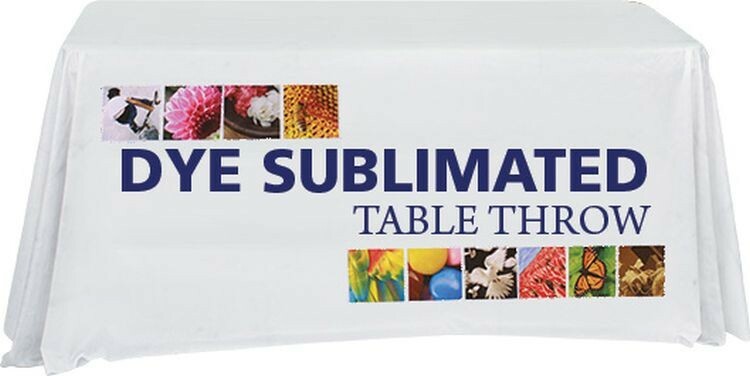 Throw fits tables approximately 72" W x 30" H x 30" D. Total visual area is 66.25" W x 21.5" H approximately. 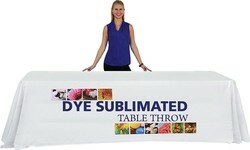 Carry bag available.